The Multidisciplinary Association for Psychedelic Studies (MAPS) is not your typical drug policy reform organization. 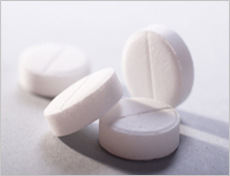 Since 1986, MAPS has worked as a nonprofit pharmaceutical company to turn psychedelic drugs into prescription medicines to treat afflictions — including postraumatic stress disorder, pain, depression, and even addiction — for which conventional therapies offer little relief. The term “prescription psychedelics” may sound like something out of a 70s science fiction story — politically impossible and culturally strange — until you hear it explained in context by Rick Doblin, MAPS’ founder and executive director. Points is pleased to have had the opportunity to speak with Doblin about his organization’s relationship to past psychedelic research efforts, its major goals and day-to-day operations (Part II), and the philosophy of addiction and recovery that informs its work (Part III). We proudly present below the first installment of a three-part interview we will showcase over the next week in celebration of MAPS’ 25th anniversary this year. Today, we’ll hear about Doblin’s thoughts on the organization’s first 25 years and MAPS’ place within the larger context of psychedelic movements past and present. Points: Hi, Rick. We’re really glad to have you here. First, could you explain a little bit about MAPS’ work and its mission? In other words, what does MAPS do on a daily basis and what do you want that work to accomplish in a larger sense? 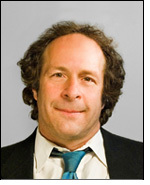 Rick Doblin: MAPS’ mission is to conduct scientific research into psychedelics and marijuana and their therapeutic potential, to develop them into legal prescription medicines. A lot of our work is trying to design studies, get permission for studies, raise money for studies, and then conduct them. And then our broader mission is to educate the public honestly about the risks and benefits of these drugs and to establish a network of psychedelic clinics whereby these substances would actually be administered to patients. What we’re finding is that unfortunately, because the drugs are controversial and because the drugs are illegal, there’s a lot of difficulty, particularly with marijuana, in getting permission to do the research. And though we can get permission with psychedelics, there are challenges with funding. But the most important thing to say about this is that the FDA has decided to put science before politics unlike the DEA, NIDA, or the drug czar’s office. So we have the opening, and our mission is really to try to take the fact that all drugs have risks and benefits and develop contexts whereby the benefits of psychedelics and marijuana can be taken advantage of to help people in a wide range of uses. 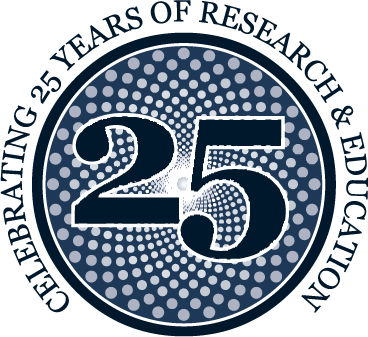 Points: You’ve been working on this for a pretty long time; this year marks your 25th anniversary – congratulations. So, MAPS has its own history in addition to being part of a larger history of psychedelic research. Can you take a step back and tell me how MAPS got started and what led you to start an organization like this one? Doblin: Forty years ago when I was 17 years old and taking LSD for the first time and feeling like it was offering me a certain kind of spiritual connection and a deepening of my emotion, this was 1971. And I woke up to the value of psychedelics just as the research was being shut down all over the world. The criminal justice system was imposing these massive penalties for working with psychedelics, and Tim Leary was called the most dangerous man in America by president Nixon. And the more that I looked at that, the more I felt it was a mischaracterization. And for me, the psychedelics were really very important, more important than my bar mitzvah, which wasn’t a very spiritual experience. There was a recognition that history was going to repeat itself. This was the Reagan era– Nancy Reagan, “just say no” –and so we started an organization to try to protect MDMA. And so I started it with a non-profit in Florida, Earth Metabolic Design, which is connected to Buckminister Fuller. That was the vehicle then that we tried to do a study with MDMA, the first safety study that we kept quiet until the action would come down against it because we felt that any kind of attention that we would draw would just hasten the day it would be criminalized. So in the summer of ’84, when the DEA finally decided to criminalize ecstasy, MDMA was used under the code name “adam” in the therapeutic context. The DEA had no knowledge of that, so I walked into the DEA headquarters and was able to file a request for a hearing. I had worked with a variety of people out at Harvard Medical School and psychiatrists out in California, and we had a series of hearings under what’s called an administrative law judge. So, basically we sued DEA to try to block the total criminalization of MDMA and to keep it available as a therapeutic tool. And we won. We had all these hearings, all these witnesses, and the upside of it was that the administrative law judge said that MDMA should be schedule III. It should be available as a prescription medicine. But administrative law judges only make recommendations to the head of the DEA. And this particular recommendation was rejected. And then we sued in the appeals court and won. And eventually the DEA figured out how to satisfy the appeals court and MDMA was criminalized. So, I started MAPS in 1986 because I recognized that the only way to bring MDMA [back into a research context], and in a way a certain kind of love and caring. The experience [of MDMA] was so exquisite, and the propaganda about it was so twisted and distorted that it felt like it would be hard to sustain the big lie forever. So MAPS was created as a non-profit organization to act as a pharmaceutical company in the face of what we call a market failure. The pharmaceutical companies weren’t interested because it was off patent and wouldn’t make them money. The government wasn’t interested in funding any research because they’re so plugged into the war on drugs that they wanted to deny that there were any benefits, let alone fund studies on the benefits of illegal drugs. And that’s where we still are with marijuana. And to the major foundations that support healthcare, it was just too controversial. So MAPS was started in response to the fact that this was a miraculously promising drug that really could help people remarkably, and there was no way to move us forward with the current social structure. I created MAPS in the idealistic hope that somehow or other all these millions of people taking ecstasy would each donate a dollar or two and before you’d know it we’d have enough money to do the research. Now we’re 25 years later and my timetable hasn’t exactly worked out as I expected, but we’re getting promising data, we’re getting funding, we’re getting government permission for research, and then we’ve expanded dramatically into working with the whole range of psychedelics, working with marijuana, and doing lots of public education of which we are so grateful that you are so interested in working with us on this blog. Points: So you’re saying these days you’re getting more funding, more government approval, and that it seems to be easier than when you started out. But I understand that some of your marijuana research is still being blocked by government agencies. That seems kind of counterintuitive with the progress being made on medical marijuana over the last few years. Is this sort of a government backlash, or have we just not come as far as it seems? Marijuana mess: The DEA, NIDA, and the FDA have been blocking medical research efforts since the 1970s. Doblin: We need to make a fundamental distinction between psychedelic research and medical marijuana research. The backlash against medical marijuana began around 1970-71, when people started talking about marijuana for nausea control for cancer chemotherapy. So, the DEA and NIDA have basically been trying to block medical use of marijuana for their entire histories. The [DEA and NIDA] were started in 1973 with predecessor organizations before that. So, the reason is then that the FDA also sort of bought into the social condemnation of these drugs and so refused to permit any research throughout two decades of the 1970s and ’80s. But in 1989-90, the responsibility for regulating research on psychedelics and marijuana at the FDA passed into new hands. A new group was formed, and they had [control over] psychedelics and marijuana, schedule I drugs, as well as other drugs, and they decided to have marijuana and psychedelics researched the way any other drug would be researched and to put science before politics. And so we have been able to make dramatic progress with psychedelics in the last 20 years. But the reason we have not been able to make progress with marijuana is basically because of a single convention [the UN Single Convention on Narcotic Drugs of 1961], which set up certain international standards for the production of marijuana, opium, and cocaine. 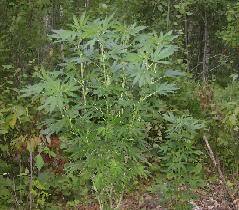 There is a government monopoly on the supply of marijuana that’s been around since around 1968. Points: Given that history and your experience over the last 25 years, what do you realistically think MAPS will look like in the next 25 years? Will its mission be accomplished? The other thing to say here is that we are consciously trying to make it so that MAPS is an organization that will survive me. And that’s a challenge for a lot of organizations. How does it move on once the founder is no longer involved? So we’re building up all sorts of layers of talent in the organization who can do things – sometimes better than I could do them – and I think that we’re close to the point where we have so much invested and so much accomplished in our MDMA/PTSD work that it’s developing an imperative to go on. The other thing of interest is that we were given a bequest about 15 years ago of a million dollar house in La Jolla, CA. We have the remainder interest, and somebody else has what’s called the life interest. So, my guess is that in about 20-25 years MAPS is going to get a million dollars. Our annual budget is about $1.4 million, so it’s not transformative, but it’s enough for people to think “wow, a million dollars!” and who knows what that house will be worth 25 years from now. So, I would say that we will most likely overcome the resistance to medical marijuana research at some point within the next ten years. I think MAPS will have expanded even further and we’ll have multiple major research efforts going. Right now our major one is MDMA for posttraumatic stress disorder. We have pilot studies in a bunch of other areas. So I think in the next ten years we’ll really start moving more into medical marijuana research. We may find that MDMA is terrific for Aspberger’s and autism, and we may open up that whole area of research. So in the next 25 years, I think there will be an expanded version of MAPS – and we have what most non-profits don’t have, which is the opportunity to become sustainable. And by that I mean we are trying to sell medicines as prescription medicine. Even though they will all be generic, I think that we may have income from the sale of MDMA, the sale of marijuana, to the extent that we get other things approved, and run these therapy clinics. The goal is that MAPS becomes an organization that both provides treatments and provides medicines and has an income from those so that eventually MAPS will be a self-sustaining engine of research. And because we’re a non-profit, the idea is not to amass profits for the founders; there are no stockholders. Any income that comes in will be used to continually expand the frontiers of research. My hope is that we’ll, over the next 25 years, have several drugs approved as prescription medicines, we’ll be one of many people selling them, because there will be generic competition, which is fine, and that we will move beyond the primary strategic focus on treatment of clinical, diagnosable illness. I also think we are going to move into a post-prohibition world; I don’t think prohibition can sustain itself for another 25 years. People are going to want to experience a variety of these substances for personal growth, for spirituality – not just illness. And we want to facilitate those. I think the network of clinics will be broader. And we want to encourage and help competition, too. Again, we’re not trying to monopolize anything. I think there will be other people running clinics – there will be a Jewish psychedelic hospice, a Roman-Catholic psychedelic hospice, a Buddhist psychedelic hospice. So, there will be all sorts of clinics run by people of all sorts of different religious or therapeutic perspectives. And I think we’ll have achieved what the hippies of the 60’s naively thought was right around the corner. Points: It sounds like MAPS’ 50th anniversary will be particularly exciting. On Wednesday, Doblin will talk further about MAPS’s efforts on behalf of “prescription psychedelics.”–Ed. ← Previous Post CFP: Addiction: What is the Added Value of the Concept Today?